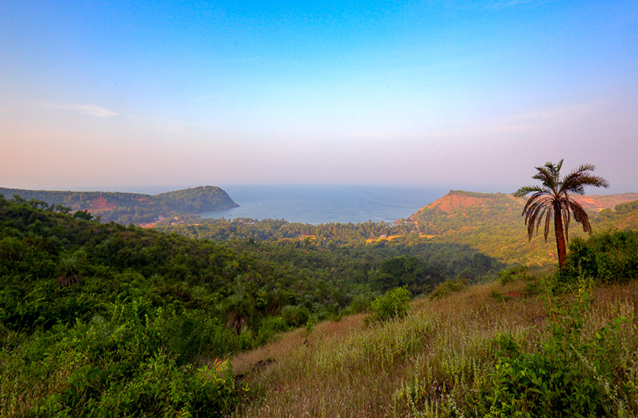 Gokarna is a wonderful place to visit and plan an unforgettable vacation; I can say here we observe wonderful sights in every step and we cannot avoid ourselves from gazing it’s peaceful and heart throbbing sceneries. 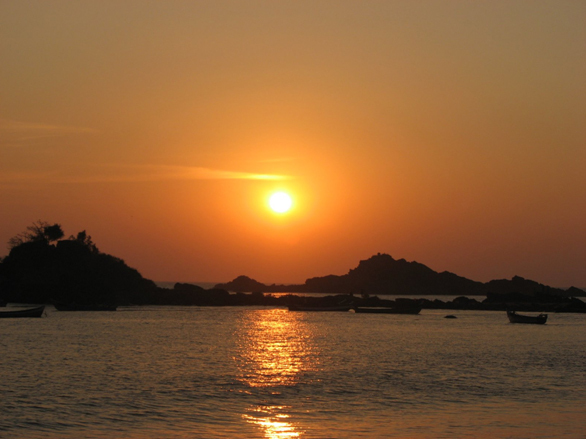 I would like to express the striking experiences of some of the pleasing sights in Gokarna. On my first morning in Gokarna, I headed to OM beach which is the loveliest one among the all four famous beaches of Gokarna. I found this place extremely ideal moreover, it seemed like the entire place is reserved for me, lonely and with eye catching sceneries. The most incredible sight I have seen here is the sunrise that was so mesmerizing, I took some amazing pictures and the sight was really picture perfect. I went on biking and reached the top of the hill, up to the point the road allowed to ride and then I preferred climbing the hill which was quite difficult and left me with short of breathing but the view I obtained from this place was amazing, the glimpse of Beach from the top of the hill astonished me and made my day blissful. Walking down was easy and this place gave a hearty wonderful experience. The most enticing thing here is we cannot evade ourselves from capturing the pictures of the wonderful sceneries. I went on a boat ride with the boatman with an intention to capture some amazing picture from the middle of the beach but surprisingly I discovered their dolphins. 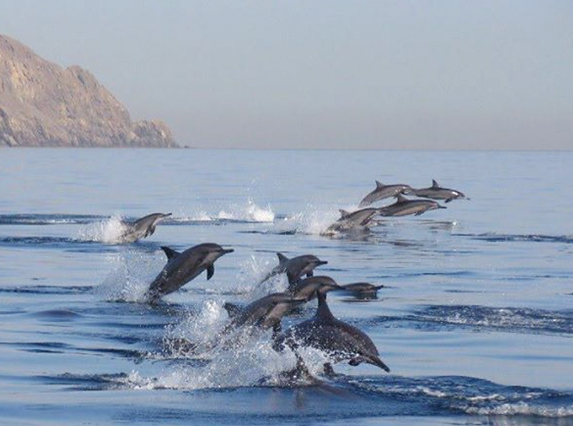 The view of dolphins Jumping In and splashing water was marvelous to watch. There were so close and at the sunset experience was just remarkable. I have got unforgettably great experience in Gokarna, peaceful place, lovely people with amazing sceneries. Kudle Ocean Front is ideally situated at the famous Kudle Beach – one of the four beaches most frequented by international and domestic tourists. What sets Kudle Ocean Front apart is the peaceful environment it offers nestled between the mountains and a beautiful beach.